This campaign idea has been floating around on my thumb drives for a while now. I was originally conceiving of it for a BRP campaign, but would likely use it with Mythras, GURPS or maybe Savage Worlds. It's a bit fragmentary, but I like what I was driving toward with it, may have to develop this more in the future....it strikes me as having a lot of potential. The Divine Plot: The story begins when the mother of all monsters Echidna conspires with her children to plot the freedom of her husband Typhon from his grave beneath Mount Aetna, through which a portal of Tartarus can be found. Echidna seeks revenge against the gods (and Zeus in particular) for their imprisonment and subjugation, and plans to achieve this by freeing the ancient Titan, her husband, although she does this secretly (or so she thinks), for she has been sleeping with Typhon’s cousin, Set. Set, the dark god of the southern empire of Egypt, has manipulated Echidna in to this action, for he seeks to gain dominance over all the world, but to do so he must topple Zeus from his throne. Cults have begun to spring up among the city states of Mycenae and the humans who are worshipping Typhon have angered the Olympians. Zeus, regretting the imprisonment of Typhon who once aided him has nonetheless grown angry with the mortals who fuel his spirit with their reverent worship and seeks to punish them. Typhon’s portal to Tartarus is located beneath Mount Aetna, on a remote Isle to the mysterious western lands of the Etrustcans (Sicily). Echidna believes that with enough strength, Typhon will be able to break free. To accomplish this, she sends forth her horrible children in to the world to wreak havoc on the temples and worshippers of Zeus, and encourages the cultists of her and her husband to worship freely. This will strength the Titans while weakening Zeus. 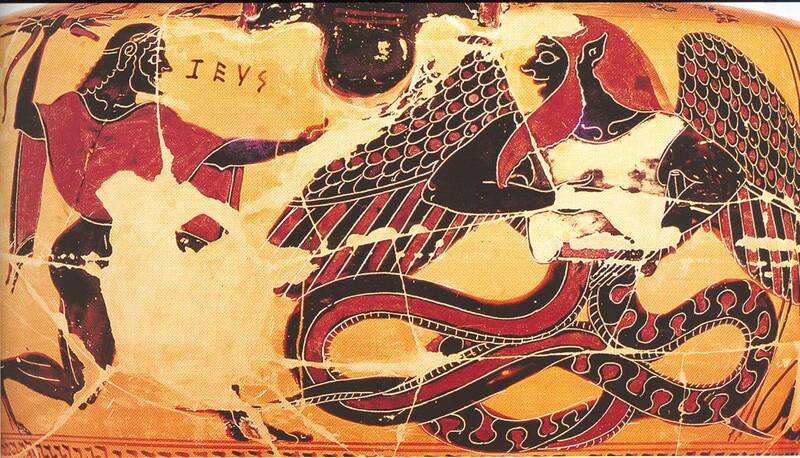 In the interim, she sends her favored daughter, the Lamia Tytherias, to find the passage Tartarus beneath Mount Aetna, to locate the ancient burial chamber of Typhon to awaken the restlessly slumbering beast. 1. The Oracle of Delphi makes a terrifying prediction that the Kingdom of Atlantis on the Isle of Thera will be destroyed, for they have awakened the Mother of All Monsters. 2. Across the lands of Mycenae monstrous beings erupt from their lairs and begin to rampage, striking down loyal servants of the Olympians, destroying temples and menacing the population. 3. Cults are rumored to be springing up across the land, worshipping the Serpent God Typhon, a Titan whose worship in this time has been unheard of since his ancient imprisonment by Zeus. There are other rumors that a terrible cult to his wife Echidna has been embraced by the Atlantean king Tyraeos. Optional Plot Idea: the period is very much historical, but with a chthonic magical element that is amorphous and clearly both ambivalent and inimical (a mythos-style approach to the subject). 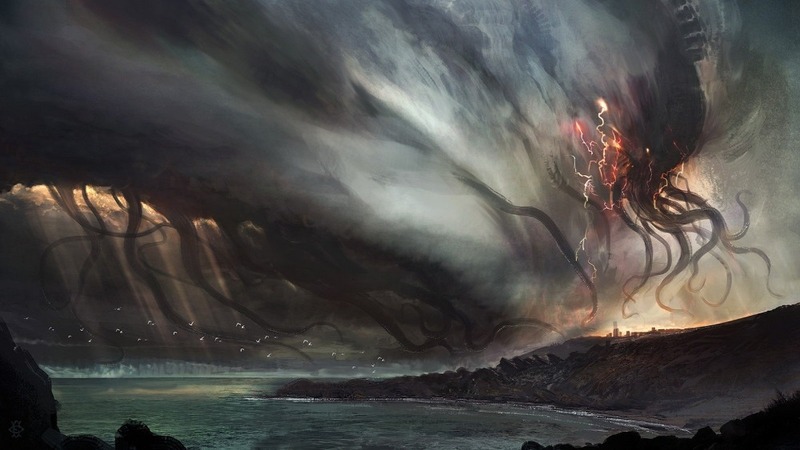 In this world, the timeline is during the period when the Titans walk the earth, and the castration of Ouranos was a recent phenomenon, during which the skies rained with the god’s blood during his castration, leading to the creation of terrible monsters. 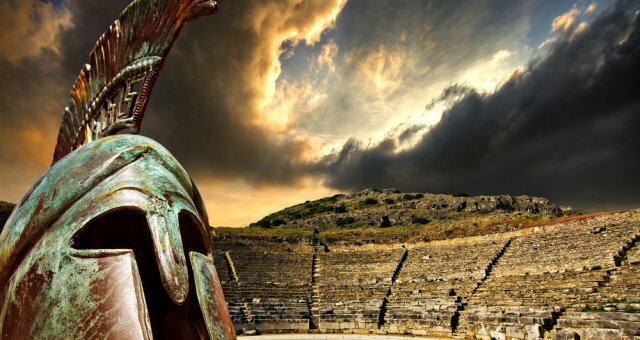 Use Ancient Heroic-Age Greece for the mythology writ large (essentially set the setting in the Homeric vision of Greece), but reinterpreted through the lens of historical and archaeological information on the period. This would be a relatively dark and gritty campaign, where I extrapolate from the actual historical data on the period to reconstruct what it might have looked like in 1600 BCE Mycenae (Mukanai) during the period of conflict when the Pelasgians were (possibly) being displaced by or merging with the invading population of the Achaeans....or possibly even a case in which the local Mycenaens (as well as the Minoans, who were on the verge of going into decline) were basically stuck between the Pelasgian populations and other Achaean tribes to whom they were related. Of course this is all happening right around the time when Thera was most likely to have erupted, which I think would make for a great story backdrop, and if I wanted to I could integrate some of the prototypes of that Atlantis tale from Plato in to the matter by suggesting that the real Atlantis was, in fact, an outlier colony of Minoans who happened to be in the wrong place at the wrong time when the volcano erupted. I'm also debating how much of Graves and other advocates for the mythic transitional period to use. If I aim for a sort of quasi-archeo-historical recreation I could toy with the idea that maybe the Pelasgians were characteristic of the matrilineal "White Goddess" concept he espoused, with a society on the cusp of invasion by the Acheaeans and their patrilineal "Dyeos" (Zeus). I've also long thought that the entire myth-cycle of Zeus's triumph over Ouranos and the Titans was characteristic of a sort of relgiious coup, in which the invading religion games triupmph over the beliefs of the subjugated by both absorbing and then subjugating the pantheon of local gods, which makes me think it would be interesting to emphasize the idea that many of the Titans might still be worshipped and represented in this period, but the faithful are losing ground to the Achaean invaders and their patrilineal system of belief and religion. This could make for great RPG plot fodder, as this being a fantasy setting means that there are real monsters, and the cultists of the Titans could be calling upon the monstrous children of those Titans (such as Echidna and Typhon's hideous brood of beasts like the hydra and the chimera among others) to cause as much strife among the invading Achaeans. 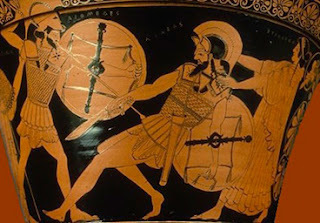 Of course the Achaean tribes are where all the young heroes spring from, and while noted warriors like Herakles and Perseus are destined to appear, the PCs get to play all the heroes that Homer never knew about (or whose deeds were misattributed to other heroes of the day). Most likely if I set it this far back then I could definitely make Perseus the dominant hero of the day....maybe set it in his waning years, ruling over Mycenae proper. This would mean Medusa is dead, but her sisters Stheno and Euryaile are still lurking and plotting the slayer of their sister's downfall.....another plot hook for young heroes. The Dactyls are numbered in tens of tens, and are a chthonic race of the earth born of Rhea, the earth mother. They are a race of the earth, stout men born of the goddess and imbued with a natural talent for metalworking. It is the Dactyls who have brought this knowledge of metallurgy to humans. The enigmatic and lithe curetes are the first beings of Crete, and though few in number they are still known to dwell there. The first and most famous of the Curetes are the five brothers being Heracles, Paeonaeus, Epimedes, Iasius and Idas. It is from the families of these five that all Curetes are descended. The Curetes are regarded as the children of Zeus himself, sprung from his tears to protect the infant in his seclusion, and so have mystical knowledge and importance. The ash-wood nymphs were created by the spilt blood of the castrated Ouranos, and gave birth to the first races of men in the Age of Bronze. The Meliai remain in the world, deep in secluded regions as the venerable nymphs, possessors of sacred lore and fate. 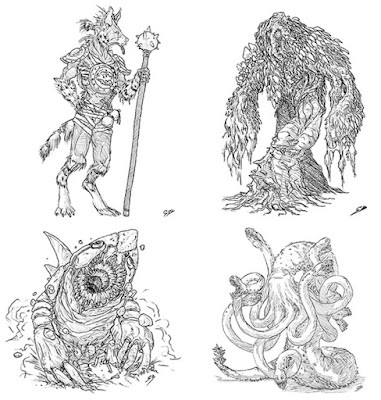 Semi-aquatic fishmen with vaguely dog-like heads, fantastical metallurgists and makers of strange and arcane devices. These sons of Ares are sewn from the teeth of the dragon slain by Cadmus of Thebes. They are a for of autocthonic race, metallic men who live to fight. This hearty folk have the constitution and traits of ants, transformed into men. They populate the lands of Aegina and are known for their amazing endurance and fighting prowess. Within the streets of this city-state fortress a darkness surfaces. Foreigners from the north, the Pelasgian tribes have been at war with the Mycenaeans for decades, but the attacks have grown bolder. Meanwhile, the elder king Perseus and his wife Andromeda, who is herself a native of Ethiopia across the sea, where Perseus’s eldest sone Perses rules. Perses has recently sent a delegation to warn his father: cults have risen, involving the Three Sisters, of whom Perseus slew Medusa so long ago. It is whispered that her sisters Stheno and Euryaile are at last intending their revenge against his murder of their sister. The stories that the three sisters are in fact hideous monsters that can petrify men only help fuel the fire of rumor. Elsewhere, in the northlands of the pelasgians of the mainland a new cult has arisen, which claims that the mother of all monsters, Echidna, conspires with her children to plot the freedom of her husband Typhon from his grave beneath Mount Aetna, through which a portal to Tartarus can be found. The Oracle of Echidna claims she seeks revenge against the gods (and Zeus in particular) for their imprisonment and subjugation, and plans to achieve this by freeing Typhon, her husband. The apocalyptic claims of this mysterious oracle in the north are sparking rebellion and dissention among the pelasgian tribes, who now grow emboldened and strike out against Mycenaean outposts along the northern territory. Typhon’s portal to Tartarus is said to be located beneath Mount Aetna, on a remote Isle to the mysterious western lands of the Etrustcans (Sicily). The Oracle of Echidna believes that with enough strength, Typhon will be able to break free. To accomplish this, the oracle and Echidnae’s cultists believe they have been called forth to awaken the brood children of the Mother of All Monsters, to awaken these chthonic beings to wreak havoc against the Mycenaeans and other followers of the young gods. The Mycenaeans are a hardy lot, engaging in athletic games, military training and civic responsibilities while managing their households. The region is a hub of farmland filled with houses and estates, surrounded and protected by the palatial fortress on the high hill. The king of Mycenae is Perseus, who has in his middle years has settled down to manage his people and lives his glory years through the tales of orators who speak of his great deeds. Though he no longer carries the shield of Athena or the head of Medusa (which he gave to the goddess) he still carries the adamantine sword Zeus gave him in his youth. He rules with Andromeda, who remains the most beautiful woman of this era. The Mycenaeans are worshippers of Zeus and the “greater pantheon” they have introduced to the mainland since their arrival. Northward from Mycenae lies Korinthos, along the peninsular coast, where the people (all of Pelsasgian descent, worshippers of the old Titans) are ruled by the evil king Sisyphus. Korinthos and Mycenae are always at war, and have been for generations. Though no recent conflicts have been fought, the threat of the Pelasgians of Korinthos always looms, and insures the Mycenaeans remain vigilant in their military exercises. The people of Korinthos have begun to adopt the worship of Zeus, and have looked away from the older Titans as their gods. Southwest lies the city of Kichyro (late Ephyra), where the dark temple of Nekromanteion rests, acting as the eternal gateway to the land of the dead, Hades’ realm. Kichyro is the capitol of the kingdom of Thesprotia, which is another rival to the west of Mycenae. Here rules the Pelasgian king Thesprotos, a surviving son of Lycaon. 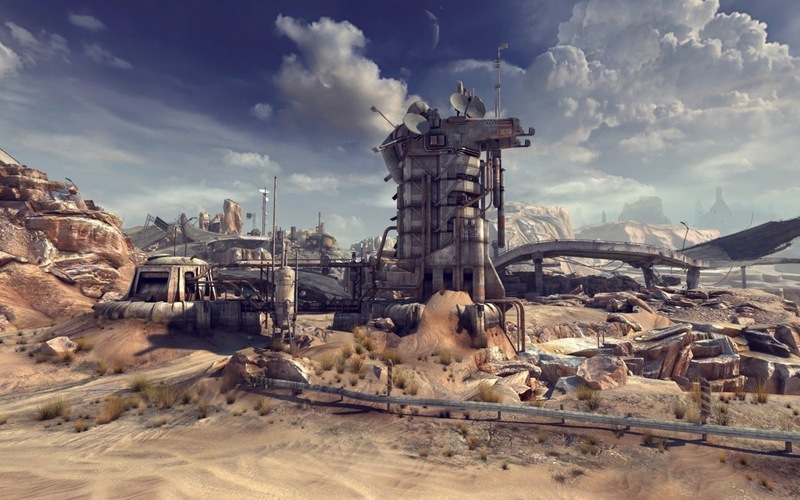 Thesprotos fought and conquered all of the tribes in this region, bringing them under control and uniting them in to his kingdom. 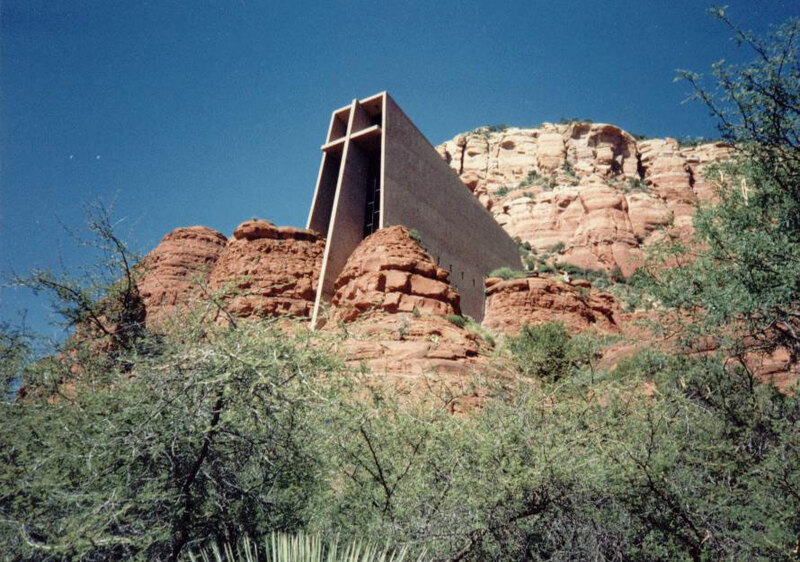 He built Kichyro as a fortress to both oversee his conquered lands and also to honor the nearby temple-shrine which protects the sacred entrance to Hades’ realm. Worship of the cthonic gods is popular in this region. The mysteries of the portal to Hades, guarded by the priests of the Nekromanteion give the people and the land a sinister reputation. Necromancy is more common here (using necromancy as the literal process of divination from communion with the dead). This land is an unspoiled wilderness in the region between Thesprotia and Mycenae, and haunted ruins found in Arkadia is where the legacy of Lycaon can be found. The oldest city lies in ruins, and it is said that lycanthropes born from the curse of Lycaon roam the region. Likewise, Pan, greatest of the satyrs, is said to roam throughout Arcadia, as do many other supernatural beings, some friendly, some dangerous to mortals. I'm a couple hours in to Titanfall 2's single player campaign and have to say I am very, very pleased with it. The campaign really demonstrates just how adding a story (and a good one at that) to the mix can enhance the overall game experience. I'm even more pleased to learn that apparently Respawn is going to release all content to the base game owners automatically...no season pass gated content! Amazing. Anyway, I'll do a proper review soon, but I have to say, of the various releases out so far this season, Titanfall 2 is standing out above the rest by a notch or two.....and this in a season of really good new releases, no less. Forza Horizon 3, Gears of War 4 and Mafia III are all amazing game experiences so far. I'm still out on the fence about Battlefield 1, admittedly....the single player campaign is better than the last three Battlefield experiences by a bit, but the bar was set very, very low before. I haven' tackled multiplayer in any of these yet, but if Titanfall 2 is as good as its predecessor that may be the top dog for MP gaming over the next year. I've also been so busy with work and family that I haven't managed to log more than 2-3 hours in each game so far, so take these suggestions as "initial impressions" only. But if these games remain consistent, it will be a good year ahead for gaming as I find time to catch up on everything. This weekend kicked off a new Call of Cthulhu campaign, using 7th edition rules. I wasn't quite feeling as prepared as I wanted to be, but it turned out the transition from 6th edition mechanics to 7th edition less onerous than I had expected, and some of the new editions changes are rather nice. It was nice to get back to gaming on a Saturday, been a while!!!! There hasn't been any combat yet, but I'll let you know how that goes when it rolls around. Like any good CoC session, the game I am running will require some work on the players' part to investigate the mystery before they finally dig too deep and get into horrible trouble. During char gen it was fun watching them arm their PCs.....only to realize that hauling all that firepower around means most of it will spend all its time in the trunk of their car under various safety locks (we're running a contemporary setting campaign). Meanwhile, the new percentile focus on attributes was smoother and more natural than I anticipated....given that it's simply a move to converting the existing attribute-derived rolls from prior editions into the default mechanic, it actually makes a great deal of sense, and after only one session feels quite normal to me. One of the reasons this works better than in prior editions, for both attributes and skills, is that the system now pushes everyone to note a "half" and "fifth" modifier for their base skill. These are for hard and extreme tasks/successes, and basically it bakes in a quick target number on the character sheet for PCs to aim for. This is an easy tool for the Keeper to use. Some things I wouldn't have minded seeing an improvement on (such as adding a perception skill over spot hidden, listen and such) aren't present, but the skill set remains more or less consistent with prior editions. The luck score was an oddity. We discussed the idea of such metamechanics, and I acknowledged that the way it was presented in CoC 7E seemed okay to me....you lose the points in luck you spend to influence rolls, and regain them when you make successful improvement rolls on luck. Speaking of which, improvement rolls are now on D10s, which seems excessive to me but the game clearly identifies that no improvement rolls should be done until after a completed scenario. This suggests to me that improvement rolls ought to hit once every two to three sessions, which is typically how long an average CoC scenario takes if it isn't a mega-adventure or a one-shot. The Keeper's Book otherwise remains thoroughly utilitarian, and does have just enough info even on character creation that you can run with just that book, if no Investigator's Guide is available. Anyway.....goal here is to run CoC 7E for the foreseeable future on Saturday, maybe rotating with Savage Space. More to come! It's in the wild! The Kickstarter to produce the hardcover 2nd edition of this amazing pseudo-retro-clone is now available. 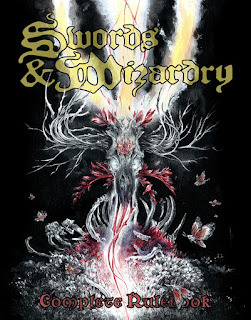 If you're wondering what it is, AS&SH is a rule set derived from AD&D 1E, with some interesting rules modifications for clarity and efficiency similar to the way Swords & Wizardry tweaked OD&D, making for an experience both familiar and new. 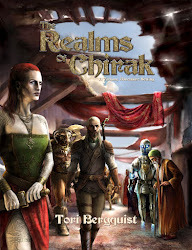 It's core conceit is a "What if Gygax had based AD&D on all the non-Tolkien fantasy in the Appendix N" sort of approach, and the result is a great rule system with an elegant core setting in Hyperborea that is easy for GMs to flesh out. The modules for this game have all been great as well, and the entire game fits my own style of gaming really well. My wife is back and out of the hospital, with follow-ups planned. No surgery done, but they couldn't satisfactorily resolve an answer to what caused her collapse, either. She was recently diagnosed with Celiac Disease, for example....and that was postulated as a possible cause, but so was appendix and several other internal body parts, and they were concerned about blood clots as well. Two days before the collapse she'd had an endoscopy, and I still suspect that the endoscopy and accompanying biopsy could have cause an infection. Given that we were told repeatedly the primary symptoms that she experienced were indicative of hear attack or blood clots, if it's something less scary we'll be happy. Either way, she's back now and we're all happy, albeit keeping a close eye on her. Thanks everyone for the well-wishing, we really appreciate it! My wife unexpectedly collapsed last Friday and has been in the hospital ever since. She's doing better today, but as of right now the doctors still can't agree on what her ailment is....they can all agree however something is very wrong. They ruled out appendix on Saturday but apparently it's now back on the table. Compared to some of the other proposed issues they had looked at and eliminated, appendix at this point is the least scary issue. Anyway, blog will return to normal as soon as my family does! 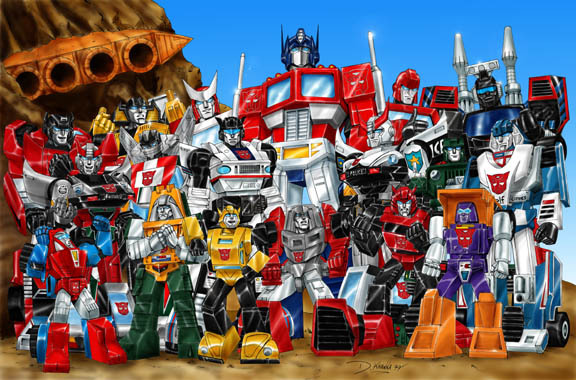 Yousef Tanha recently interviewed me for his blog and he just posted it (located here), about an ancient tether I have to the Transformers comic, a letter I wrote as a young teen back in the 80's. Back then, Transformers ranked #2 on my list of interests, right behind D&D, and when Yousef contacted me it was like a floodgate of ancient memories I had long ago forgotten came rushing back to me. Anyway, check out the interview for a side of me you don't hear about on the ROC blog! While I've been gallivanting about on work-related stuff several things have popped up worth mentioning. First off, and most exciting, is the new Mythic Rome book for Mythras stealthily rolled out. It's available in pre-order on The Design Mechanism's site, with PDF available for immediate download. 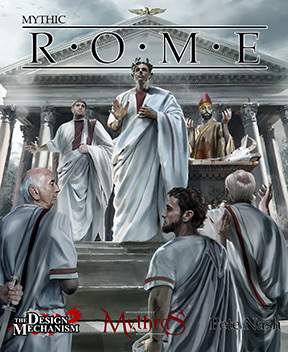 The PDF on first read-through strikes me as a consolidated, cleaned-up version of BRP Rome, which is absolutely a good thing. This looks like a very comprehensive, focused sourcebook for gaming in Ancient Rome and sets a great precedent for Mythras, one which was already given a high benchmark by the high-quality Mythic Britain sourcebook last year. 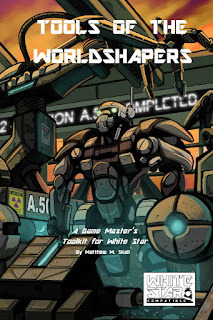 Next up is Tools of the World Shapers, a White Star sourcebook from DYS Games, which have also produced other great sourcebooks for WS, including Between Star & Void, the indispensable tome on star knights. After an initial read-through I can say it's a meaty addition to any campaign where the GM wants more tools and features to mod out your campaign with. 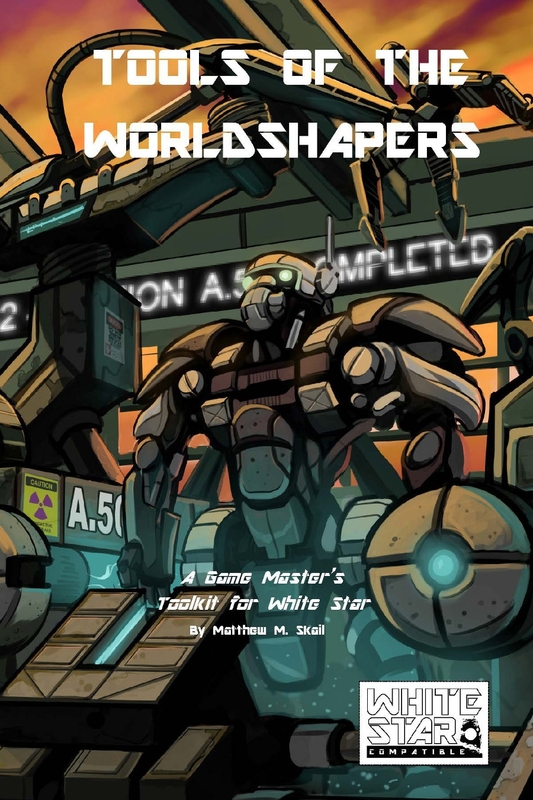 Notable sections include a copious number of cybernetics, equipment design rules, and "gifts" which provide a way of introducing weird powers in a non star knight framework. 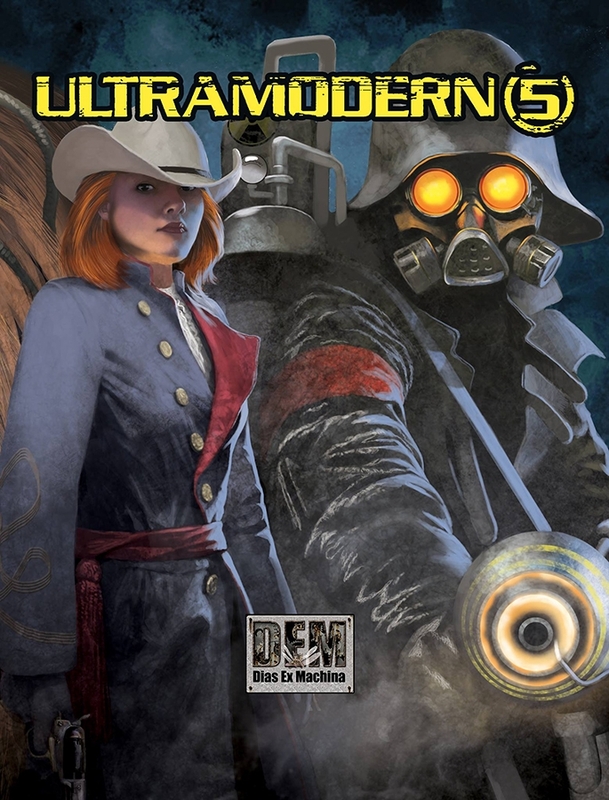 Third, but hardly least, is Ultramodern5, a 5th edition toolkit for D&D which lets you overlay rules, classes and other mechanics to allow for futuristic, modern and other contemporary game settings. 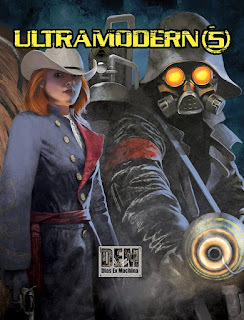 It is very much a toolkit, so in theory you could run straight modern or near future SF with no issues, or mix and match to create weird science fantasy or other campaigns as desired. The book looks very useful and I will provide a proper review soon. Well, not total....game books, comics, coffee table art books and graphic novels still remain superior in print form. But for everything else, from the history and science book to the tried-and-true novel? Yeah, I am officially giving up on print. 1. See cool print book in shop, buy book, convinced I will read it ASAP. 2. Book sits at home, where I lament having poor reading light. 3. Buy very nice reading light, book light, and break out the reading glasses. 4. Realize that a significant chunk of my reading is now done in the dark on a tablet while sitting on the patio. 5. Lament lack of ability to read in the dark on the patio with print books. 6. Take a trip. Read several ebooks while ignoring the print books I also brought along. Think about that one print book I really wanted to read that I left at home. Buy copy in ebook format and finish it on the trip. 7. Finally have a moment to read a real book in perfect lighting with my reading glasses, but now I can't find the book in question. Buy ebook and solve problem. So: I'm giving up on print books. Unless it's an artsy book like I mentioned before (and even then...graphic novels look pretty slick on my Samsung Galaxy Tab S2 10 inch screen....just sayin') it's pretty much a guarantee at this time that I will engage in tsundoku electronically going forward....my biblioholism may be never ending, but I can at least hide it all inside the walls of my tablet! The "news" is that the art design and layout is headed by an all-woman team led by the prolific community driven leader Stacy Dellorfano, and the goal is to make an edition of Swords & Wizardry that breaks out of its current appeal to forty-and-older something men who are recalling the good old days, and show that OSR mechanics align quite well with more millennial ideals. Laudable stuff, and I am eager to see what the new edition looks like so I can put it next to my Otus cover 2nd printing. Some have criticized the cover....and I admit, I am not sure I like it all that much, if only because I sort of have no clue at all as to what is going on in that picture. It looks neat....but beyond that it looks to me like some sort of decoration a druid might hang on his or her wall? I really can't tell what it is. But it does look neat in an abstract way. 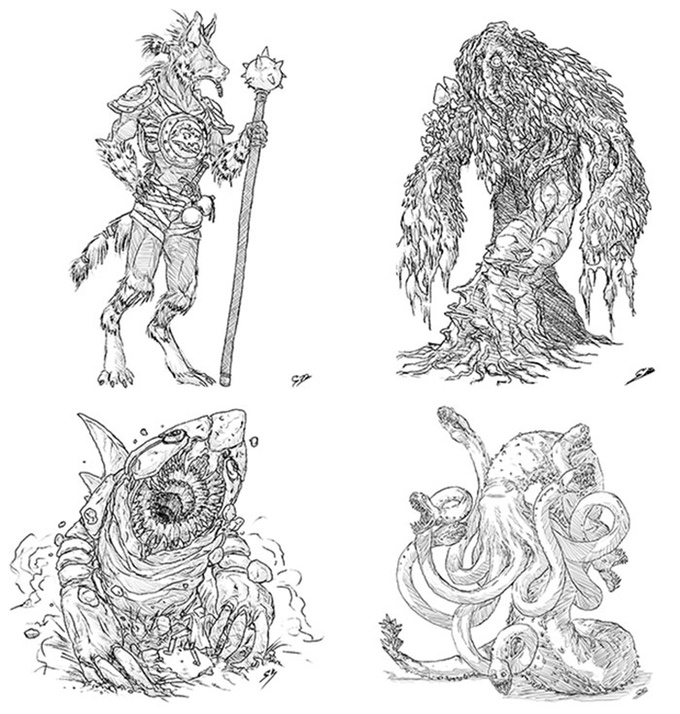 The Kickstarter is also including two new modules as add-ons, and some classics as well. Anyway......I think this will be a nice addition to my already cluttered S&W OSR bookshelf, and I'll probably snag a second copy once it's out for my wife. Looking forward to it! 1. Asteroid 2015 GL5589 has been rumored to be on close approach, passing between the orbit of the moon and the Earth. You believe (either rightly as an astronomer or wrongly as a fanatic) that there's a deadly risk it is really going to strike the earth and the government is hiding this from the populace. 4. 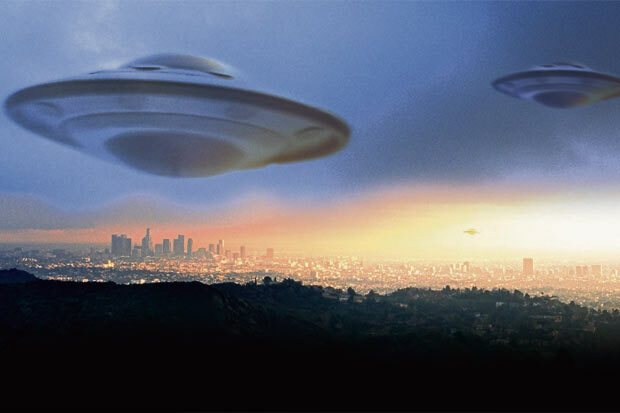 The sudden surge in UFO sightings in the last several weeks, culminating a month ago in approximately 200 exotic ufo sightings over Mexico City, Phoenix and Denver have level heads stating it's a product of military build up due to the South China Sea conflict, but you know better....this is the culmination of a pattern that began over twenty years ago, a pattern of invasion....! 5. You can't say it's the "end of the world" but a month ago you attended a conference on the American Association of Biology on the adverse risks of CRISPR technology. One scientist warned that it was already suspected that North Korea had used CRISPR technology to create a cordyceps sinensus that was extremely robust and hearty, primarily (it was suspected) to harvest a more robust form of aphrodisiac for Kim Jung Un. The results were questioned however when it was found that the fungus could infect and grow on large scale hosts outside of ants....and rumors were that North Korea had moved it to weapon testing. Disturbed by the concept, you made your way to the retreat a month later to clear your head, after an ex-GF suggested it was a great place to veg out, if you ignored the crystal stuff. 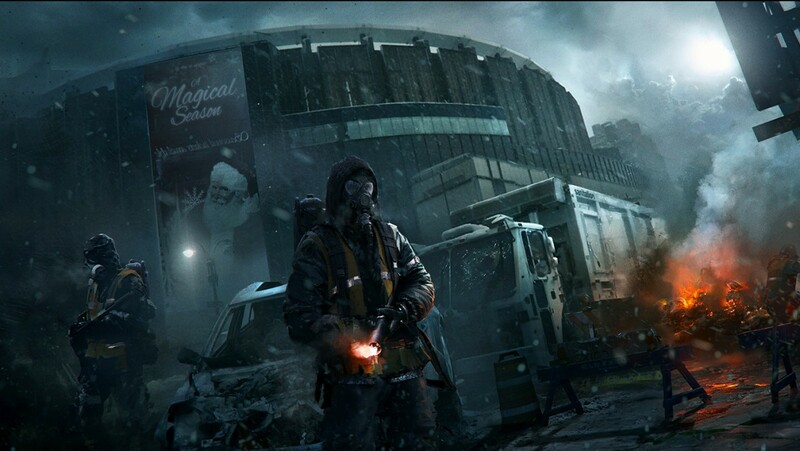 I've played a lot of Tom Clancy's The Division in the last few months, a game I had intially been skeptical of but ultimately not only warmed up to, but have found it a great periodic "go to" game in a way that I wish Fallout 4 had been for me. It's premise is simple: a viral outbreak of an engineered small pox virus is unleashed during Black Friday in New York, and in the space of a month kills off most of the human population of the United States (and maybe the world). The government tries to hold itself together but is just as devastated, resources drawn too thin. 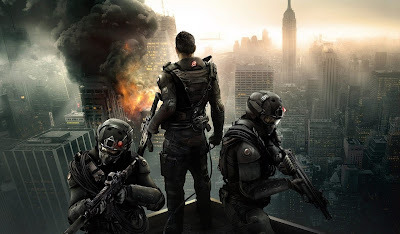 Clandestine operatives belonging to a deep cover black ops program called the Division are awakened and sent in to Manhattan specifically to try and restore law and order while also figuring out who created the virus and whether there's further threat. Amidst all this, groups such as the Cleaners are part of extreme right "solutions" to the problem, using death and flame to purge infected survivors while establishing their own new rule of law. Anyway, one thing that The Division does really well is show how you can take a perfectly ordinary environment....bereft of pretty much everything "weird" other than some sophisticated computer tech and a super-virus, and make a great game out of it. The environment in The Division would translate well with the right sort of focus into the scenario style of Savage Worlds, for example....and Savage Worlds is honestly one of the best game experiences I've had to date for modern firearms combat, with an excellent blend of tense "die at any moment" events combine with a measure of heroic player agency with the bennies. I think a Division agent would start off at least seasoned, although one could argue that they may even qualify for more experience. That said, here's a suggested Division Agent archetype for Savage Worlds. Division agents are well-rounded....from the start they have decent stats across the board, and after advancing a bit focus on whichever specific area most benefits them. Edge: pick two from Danger Sense, Command, Combat Reflexes, Brave, Alertness or Luck. Default is Danger Sense and Combat Reflexes. Equipment: Kevlar Vest w/Inserts (negates 4 AP, +8 vs. bullets), .357 Magnum (2D6+1, ROF 1), M16 assault rifle (2D8, ROF 3); 3 extra clips for each weapon, Personal computer smartwatch with Augmented Reality features (using glasses or implant, presumably)...see stats below. The smartwatch is a sophisticated near-future limited AI personal computer worn on the wrist. It projects imagery called ECHOS (Evidence Correlation Holographic Overlays) constructed from other data sources, such as phone recordings, cell data, surveillance cameras and forensic evidence to recreate images showing specific events in sequence. These events are (presumably) projected via augmented reality overlay onto the retina of the agent via chip or relay for viewing (or you can be generous and assume they are actual holograms). Smartwatches grant a +2 modifier to investigation rolls, tracking rolls and knowledge (electronics) rolls. They also provide encrypted communication abilities within a 50 mile radius. While the ECHO effect is active however they reduce Notice rolls by -2. Attributes: agents are well-rounded to start, needing to be equally good at everything. You can start differentiating as you advance in experience. Skills: agents do not intimidate (except by pointing their gun), they shoot. They do not talk much, so no persuasion skills. They are not all that familiar with things, but do know how to flip a switch or fix a machine, thus repair and knowledge (electronics). No cars in New York seem to work anymore, so no driving skill needed, though the agent probably has some driving experience. 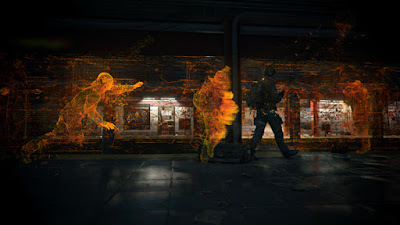 Investigation is a big deal....they do a lot of that in the game, and use their augmented connection to their personal computer to witness events in the form of ECHOS. Edges: these seem like the most applicable edges for a starting agent, but if you want something else, go for it! Hindrances: the agents come off as quiet, dedicated and very persistent. They definitely adhere to their vows to the US Government as Division sleeper agents, and the only way this could be a problem is if you choose to eschew this hindrance in favor of the Wanted (major): Rogue Agent option and be a sleeper agent gone bad, but such a choice would put your character at odds with everyone else, pretty much.